Smith, S. (2015). Epic Fails: Reconceptualizing Failure as a Catalyst for Developing Creative Persistence within Teaching and Learning Experiences. 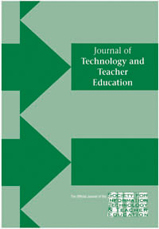 Journal of Technology and Teacher Education, 23 (3), 329-355. Waynesville, NC USA: Society for Information Technology & Teacher Education. Retrieved April 26, 2019 from https://www.learntechlib.org/primary/p/151569/.